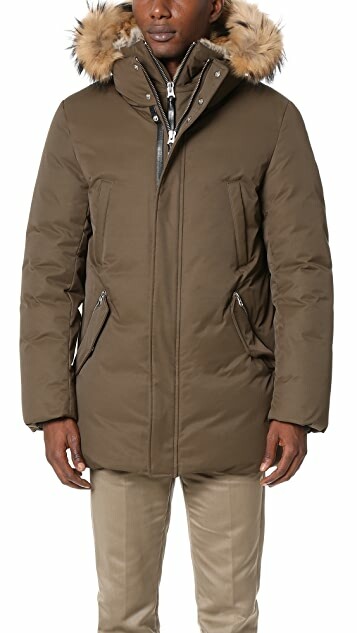 A heavy-duty Mackage parka with a detachable fur ruff and an optional, fur-lined hood. 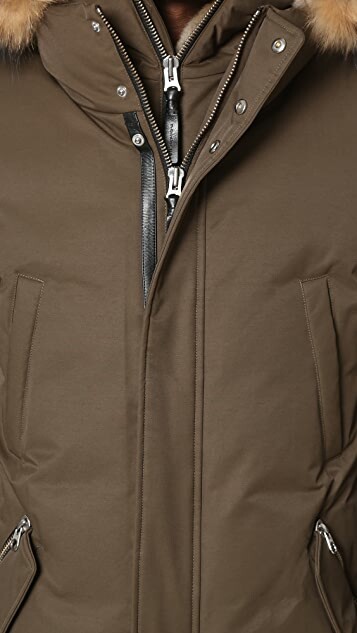 Hidden-zip placket. 4 front pockets. Ribbed cuffs. Lined. Down fill. Fur 1: Natural Asiatic raccoon fur, from Finland. Fur 2: Natural rabbit fur, from China. Trim: 45% wool/45% acrylic/10% spandex. Friends Eran Elfassy and Elisa Dahan started sketching designs together as children, and stuck together through fashion school. In 1999 they founded Mackage, a line of coats that garners accolades for its attention to detail, fine craftsmanship, and modern attitude. 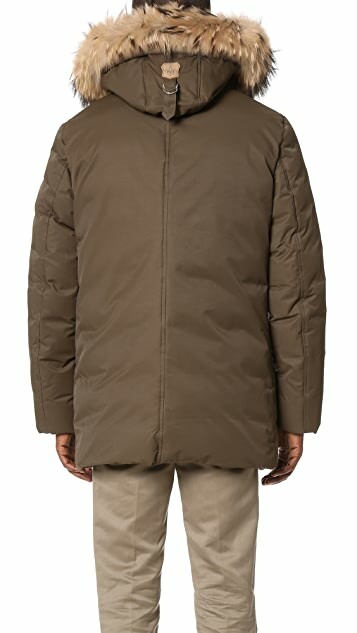 The brand takes an avant-garde approach to construct coats teeming with originality and creative vision. 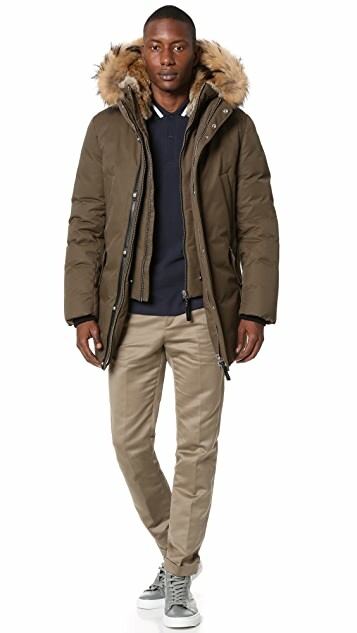 This jacket looks cool and is pretty flossy. The construction is really high quality and I get at least 1 compliment on it every time I wear it. From a functionality standpoint, this is for city slickers who are not outside for prolonged periods of time. It's rated to "negative 30," but I wore it while it was positive 30 while walking a few miles and my arms were cold. The body has better insulation and kept my torso warm. 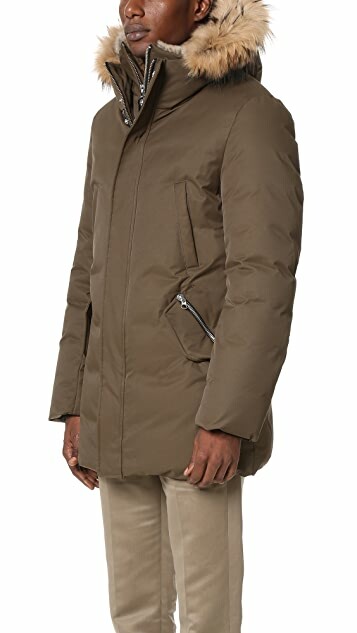 My $300 Burton puffy coat is warmer than this so when the real Minnesota winter kicks in and it drops to negative temps, I won't be wearing the Mackage coat unless I'm quickly shuffling from a car to a building or trying to get fancy.